Before the age of blockbuster titles created by armies of programmers, level designers, visual artists and musicians, there were small companies (or single developers) that struggled to publish games and sell a modest quantity of copies. Imagine a time when a video game was developed by one or two people at most, sometimes in a garage. A game could fit into a single floppy disk (do you even know what a floppy disk is?) and you had to actually go in a shop and buy something tangible. There were no downloads and no Internet (at least not the Internet we know today). 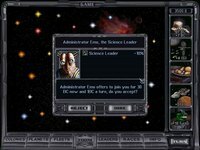 In those years, before Windows came to be, game companies developed some of the best games ever made for a Personal Computer. That's what I mean when I talk about DOS classics.